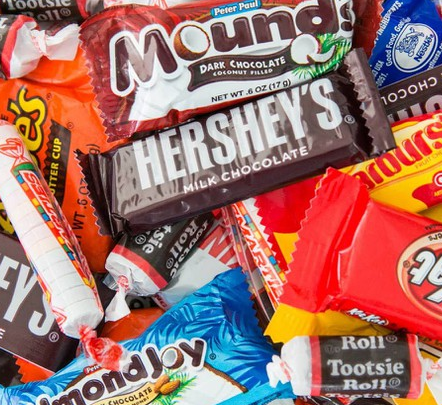 Rockville Nights: Candy-throwing in Rockville parade could be "potential disaster"
Candy-throwing in Rockville parade could be "potential disaster"
Some members of the Rockville City Council expressed concern this week about the future of candy-throwing in Rockville's annual Memorial Day parade. "So many children running close to the cars, just to grab a couple of pieces of candy," Councilmember Virginia Onley said at Monday night's Mayor and Council meeting. "I like throwing the candy," Onley added, "but it has become a real hazard. I think maybe we should just stop it altogether. All jokes aside, it has become a hazard, and there could be some potential disaster if we continue." She said the driver of her parade vehicle would refuse to return next year if the problem wasn't addressed. Councilmember Beryl Feinberg said candy has been thrown for years without incident, but that a change to throwing it from moving vehicles this year led to errant candy pieces going astray. Turning to Onley, she added, "You're right, [this year] there were children who were running into the street. But I don't want to take the fun out of the parade. That's part of the fun of the parade. I'd like to explore options that would perhaps satisfy everyone." "This year, it was absolutely not safe for children," Onley concluded. It might sound silly, but I had this same thought this year. I was on North Washington Street and little kids were dashing right in front of moving cars. Fortunately, the cars go so very slow. Still, there were a couple moments that felt like close calls. I think the problem was that some of the candy ended up on the street it the car's path. If people were more careful to make sure thrown candy made it to the side of the street, it would probably all be fine. Do like other parades and have people who are walking - rather than driving - toss the candy to the curb. It's not rocket science. I agree. Walking parade participants only should hand out the candy, as they can just walk to the sides and either put it in the children's' hands or at the very least, toss it towards the curb. The problem is when participants toss from cars and stray pieces drop in the middle of the road. Eliminating the candy altogether is not necessary. Just enforce some strict rules about how it's distributed out.